Lazaro loves baseball. He was never quite good enough to make the Cuban national team, but he found his niche in coaching. He has started a church team and got other churches to do the same. Today he runs a church league where some of the nation’s top talent often play. Lazaro’s pastor is one of our amazing national missionaries. 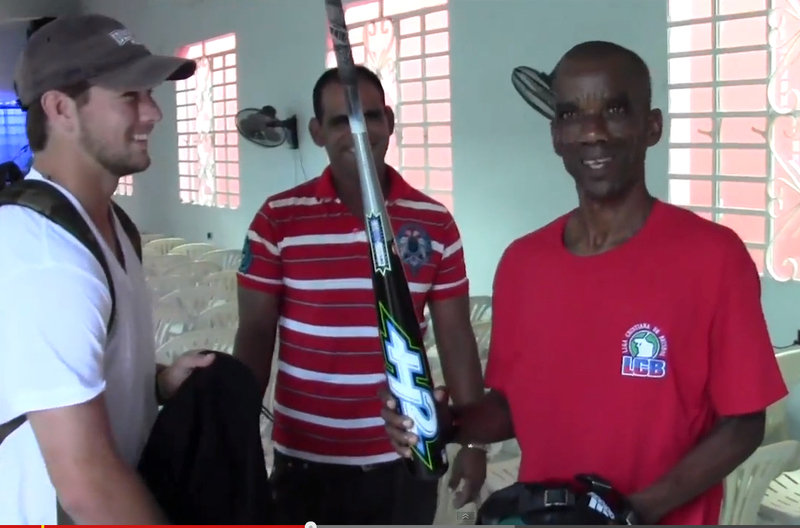 He told us about Lazaro and his baseball ministry and we were anxious to meet him. Prior to our trip to Cuba, my son, David, joyfully collected baseball gear and uniforms from friends and coaches to take with us. We were ready with a great surprise for Lazaro. See it unfold in the short video here. I suppose you aleady guessed, but Lazaro has become one of our amazing national missionaries. With the help of our Bible resources and his pastor’s teaching, Lazaro is learning to be even more effective in proclaiming the truths of God’s Word through the life lessons of baseball. It’s all very exciting. Yes, it is absolutely amazing what God can do with just five little dollars!